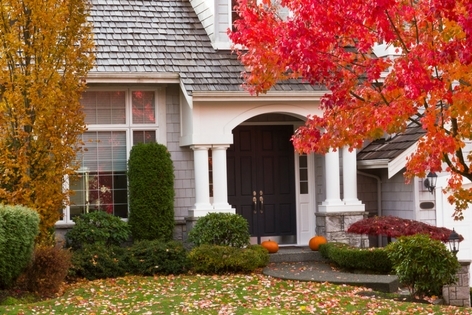 With the fall season in full swing, it is a great time to do preventative pest control. As the temperature drops, rodents and other pests will be seeking a warmer area, and your home is the perfect place for them to run to. Don’t wait until pests become a problem, take control of your home this fall season by following the 5 tips below to keep pests out of your house. Pests can get into your home through even the tiniest cracks and crevices so it is important to perform a close exterior inspection of your windows, siding, and foundation for cracks or small gaps where pests can get through and into the home. Pay close attention to areas where utility lines or outside pipes may come in as these tiny gaps around them can be great places for pests to slip through. Replace any broken vent covers, cracks in the siding and add additional caulking to windows that have developed cracks along the edge. If you are able to safely inspect your roof line and soffits check these areas as well; raccoons, rats and squirrels love these out of sight areas. Piled up “stuff”, high grass areas, and yard debris can be sought after housing areas for pests and rodents during the cold months. Not only will the area provide a good place for them to hide, but it may also attract them from the smell of any compost, garbage or recycling you store outside. Even bird seed or garden fertilizer stored in a shed will attract rodents. Clean up any areas where pests can feed and hide and make sure that your trash cans and have tightly fitted lids. While many pest and rodents may be attracted to the warmth of your home, they will often stick around when there is a good food source. Open boxes and containers can attract pests and rodents that will usually leave their waste in its place, causing you to have to remove a lot of food items from your pantry. If you have boxes or bags that are open or torn, consider moving them to containers for ziplock bags to keep the smell contained and the pests out. You will also want to make sure to put your pet’s food away after they have eaten as this will often attract hungry pests as well. A clean home will not only reduce the amount of bacteria left from unwanted pests in the home, but it will also prevent them from coming in and setting up their home as well. Rodents can sniff out even the smallest crumbs in the house so keeping a clean kitchen will help remove their food source and deter their prolonged visit. Since crumbs and food debris can make their way around the rest of the house, you will also want to make sure floors are swept and vacuumed on a regular basis as well. Areas such as attics, garages, and basements can create moisture, especially if not adequately ventilated. Pests need moisture for survival, so they are naturally attracted to those areas. To make areas inhospitable to pests use dehumidifiers in your basement and garage areas to keep them dry through the cooler seasons. You will want to make sure that your gutters and any drains outside are working as well to ensure there is proper drainage and no moisture backups into your garage or roof. If you suspect you may have a pest or rodent problem or are looking for additional ways to pest-proof your home, call the professionals at Assured Environmental Solutions today.